Jim Rickards believes the Fed has no way out of the mess it has created. But in true Fed fashion they will keep on robbing us through inflation, devaluation and force us to spend when they go to negative interest rates. Just make sure you spend on solid investments like precious metals that can't be trashed by the Fed. In short, there’s a very high probability that the U.S. economy will go into recession before the Fed is prepared to get us out of it. 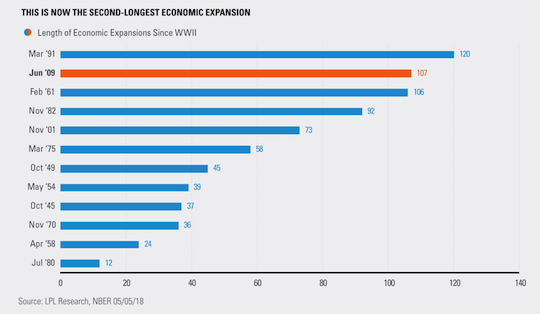 That means once the recession starts, the U.S. may stay in the situation for decades, which is exactly what happened to Japan beginning in 1990. By the way, Japan’s most recent GDP report for the first quarter of 2018 showed negative growth. Japan has had three “lost decades.” The U.S. is just finishing its first lost decade and may have two more to go. The situation is even worse than this dire forecast suggests. The reason is that by preparing to fight the next recession, the Fed may actually cause the recession they’re preparing to cure. It’s like trying to run a marathon while being chased by a hungry bear. The Fed may not be ready, but you can be. This is a time to reduce your exposure to risky assets such as stocks, increase your allocation to safe assets such as cash and allocate 10% of your portfolio to gold and silver as insurance against a collapse scenario much worse than a recession.